Will the Four Horsemen of Europe’s Apocalypse Ride Again? Sir Harold Evans, editor of the crusading Sunday Times of London from 1967 to 1981, is one of the greatest journalists of his generation. In 1984, Harry, as he prefers to be known, moved to the U.S. where he was appointed editor-in-chief of The Atlantic Monthly Press, editorial director of U.S. News and World Report and subsequently president and publisher of Random House. He is currently editor-at-large at Reuters. His books include The American Century and They Made America. Knowledge@Wharton talked to Evans at his New York home – which he shares with his wife, former Vanity Fair editor Tina Brown — about his views on the future of Europe. Knowledge@Wharton: In your review of Ian Kershaw’s recently published book To Hell and Back: Europe 1914-1949, you wrote: “Why did Europe go mad during those years?” The four horsemen of the apocalypse Kershaw identifies are the rise of ethnic-racist nationalism; the demands for territorial revisionism; class conflict; and a prolonged crisis of capitalism. In the article you ask: “Might we not blunder again?” How likely is it that we might blunder again, in your view? Harold Evans: We have already blundered over Iraq and Syria, and we have plenty of other opportunities to barge in where angels fear to tread: Putin’s cross-border ambitions for Russia, China’s in the South China Seas, the refugee crisis, the jihadist menace, the seismic tremors from the Eurozone currency imbalances. Yes, the four horsemen are still saddled up, but they are less menacing than in the 1930s for two reasons: One, in 1941, the United States, after decades of isolationism, woke up to both its self-interest and its idealism in rejoining the world. Two, the shattered European states were led by political realists with vision (Churchill and Bevin, de Gaulle, and Adenauer). They were ready to be led by the United States in the creation of economic and security institutions that have given us six decades of peace and prosperity. We have to hold fast to that vision especially when everybody is [dissing] the idea of a united Europe. Things are not nearly as bad as they were in the years leading to World War II. I think that in another five to 10 years, the refugee crisis will have been resolved. The economic migrants will either have been absorbed or welcomed back in their native countries and the asylum seekers will have been given sanctuary in countries led by politicians who can see further than the nearest frontier post. Germany has shown a capacity for economic and moral leadership to shame the 1930’s-style primitives, some of whom are leaders in Europe. The imponderable, as we talk, is the United States. President Obama has not been much of a leader for trans-Atlantica, but all bets are off if the electorate votes in as reckless and ignorant a person as Donald Trump. Nuclear weapons? No national capital is complete without one. I have more faith in the U.S. electorate. I wish I could say the same for the nationalist electorate in Russia and the cowed masses in China. Yes, there are risks that Europe might blunder into another war, but European society strikes me as more mature and less flammable than it was then. What was the Germany of the Holocaust is now the most welcoming of Jews. And the most hostile opponents of radical jihadism in Europe and the Middle East are not Trump and company, but Muslims. I think the lessons of history have been learned. It’s easy to feel despair by selectively citing supposed historical parallels. Knowledge@Wharton: Let’s focus on the rise of ethnic-racist nationalism. We are seeing this in the reaction of some EU citizens to the arrival of thousands of people from the Middle East and elsewhere. How do the ethnic feelings of today compare with those in Europe between the wars? Evans: Nobody can deny that there is fear among Europeans of the arrival of large numbers of Muslim migrants. But it’s stupid to make all Muslims a scapegoat for the terrorist acts in Paris, Brussels and San Bernardino (in California). It is tragic when nationalism and ethnic identity go together. The Hungarian government, for example, is behaving in a most reactionary fashion to the influx of migrants. Governments that tolerate hatred — and, still worse, incite it — perish by it. Contrast the scares about absorbing newcomers with the way that West Germany integrated the East Germans after the fall of the Berlin Wall. I thought the East Germans would be indoctrinated with communism after all those years in the Soviet bloc, yet they managed to make a national community out of the new Germany that has recently behaved in a morally superior way toward the migrants from Syria and elsewhere. Knowledge@Wharton: But isn’t the integration of Muslim migrants into European society going to be a lot harder than East Germans into one German nation? Knowledge@Wharton: The tiny number who are terrorists, though, pose a continuing threat to create mayhem and thus sow enmity between local people and the migrants, don’t they? Evans: Yes, but the last thing we should do is give ground to that enmity by persecuting and discriminating against non-radical Muslims. Remember that the bulk is fleeing from monsters who’ve kidnapped their religion and murdered their families. Don’t learn the wrong lesson from European history. We all want the European authorities to capture the terrorists and bring them to justice, but let’s not be so clumsy as to make them appear martyrs to their odious cause. Ted Cruz, who has lost the Republican nomination for president to Trump, came up with the wackiest notion that we should police Muslim communities already integrated in the U.S. His next speech or book should be: How to Breed Jihadists Without Leaving Home. Knowledge@Wharton: Let’s turn to conflicts over territory. We see this in Ukraine and the Russian takeover of Crimea. As with Germany after the Treaty of Versailles, doesn’t President Putin feel like the loser after the end of communism? Evans: It isn’t just Putin, though. President Gorbachev, the last leader of the Soviet Union, believed that there was an understanding at the end of the Cold War that the North Atlantic Treaty Organization would not push East. He felt that the West betrayed that understanding. But this does not justify Putin’s actions in Crimea or the massing of his forces on the border with the rest of Ukraine. I believe he is an expansionist, and that, by invading Crimea, he broke his agreement that Ukraine was a separate country. I was in favor of stronger Western resistance to Putin’s actions in Ukraine and have argued that President Obama’s response was reminiscent of the inaction of America (and France and Britain) in 1936 when German troops marched into Rhineland. Now, we have to make sure we will defend the Baltic States and continue to enforce the economic sanctions imposed on Russia. And let’s have a referendum in Eastern Ukraine and see whether people there actually want to become part of Russia. One of the problems is that the polarization of politics has a mirror image in the polarization of cable news, so our media is not as helpful as it might be in forming a national consensus for an intelligent foreign policy. As for the Internet, it’s a wondrous medium for research, but the proliferation of social media has undermined the economic base of the national press for foreign coverage and investigation. Deprived by budget cuts of consistent, independent reporting, we are suddenly taken aback to find that Iraq’s [former] Shiite Prime Minister, Nouri al-Maliki, had, for eight years, pursued a vendetta against Sunnis and we now have ISIS on our doorstep. Network TV, with less financial justification, has closed many foreign bureaus; nowadays a correspondent drops in with a wind machine and looks for a bunch of photogenic palm trees. And the trend is for people to go to websites that confirm and reconfirm their prejudices with not much leakage of unsettling information. There are still millions who believe Saddam Hussein plotted 9/11. Knowledge@Wharton: The two other horsemen in the 1930s were class conflict and a crisis of capitalism. Are there parallels today — the widening gap between rich and poor in Europe, as elsewhere, and the fact that many European economies have not recovered from the financial crisis that began in 2009? Evans: Yes. I think the policies of economic austerity imposed in much of Europe were a huge mistake. It’s as if President Hoover were still alive. I think the Nobel laureate economist Robert Solow got it right when he said that the EU governments threw Greece a lifebelt, but the rope was too short. But I want to add to the anxiety about the four horsemen by noting the possibility of the U.K. voting in a referendum in June to leave the EU. If Britain votes to withdraw, then this would probably lead not only to the weakening of the EU, but also to the breakup of the U.K., because the Scots would opt to stay in the EU. There is a depressing, primitive nativism among Prime Minister Cameron’s opponents in the Tory party. Boris Johnson, leading the “Get Out” nativists, is a jolly fellow, but he’s also an opportunist who’d seize any opportunity to grab the crown. To be true to his advertisement of himself as Churchillian, he should get on his bike and not get off until he reaches Calais, where he could prove himself by sorting out the disgraceful camps of the refugees who’ve been turned away from the white cliffs of Dover. But the leaders of the “Stay In” crowd don’t show much inspiration either. Knowledge@Wharton: You started off by saying you were more optimistic about the future of Europe than the circumstances might warrant, but now you sound pessimistic. So where do you stand? Evans: I am like a man floundering in the sea, but if I hold on tightly enough to my lifebelt and if the political leadership and the media pull me in strongly enough, we’ll reach the promised land. But you’ve got to have a vision of a cohesive Europe or you’ll lose all hope. W. B. Yeats summed it up brilliantly in his poem, “The Second Coming”: “Mere anarchy is loosed upon the world…The best lack all conviction, while the worst/Are full of passionate intensity.” [The 1964 Republican presidential nominee Barry] Goldwater said extremism in defense of liberty is no vice, so I’ll paraphrase that, by saying that extremism in defense of a united Europe is a virtue. "A highbrow is the kind of person who looks at a sausage and thinks of Picasso." The first reaction from the hard money camp would be to state we are insane or that we longer value hard money. Taking that line of thought would only set you on the wrong track; we are not against hard money or the Gold standard. However, most of those in the hard money camp have a hard time dealing with reality. The reality is that very few even understand this concept and even fewer would be willing to embrace it. In the end, it's the masses that determine whether or not a new trend, fad or rule will be embraced or not. Have the masses done anything other than occasionally complain about how prices are rising? Did they embrace the Gold bull market from 2002-2011? Most of them focussed on the crash aspect and not the fact that Gold had soared significantly higher than it was trading back in 2002 despite the strong pullback? The answer on all fronts is no; to understand why no good deed goes unpunished, or why the masses will crucify you if you try to alter their mindset, watch Plato's allegory of the cave. It provides a very simple and clear look into the mass mindset. Naysayers and Dr's of Gloom keep chanting the same song of doom that all paper money will cease to exist one day and that everyone will revert to the gold and silver standard in the not too distant future. In a rebellious or romantic manner, this story has a nice ring to it. However, these people are about several hundred years too late and second of all; they desperately need a massive dose of reality. As we just stated, one must always pay attention to what the masses are embracing or willing to embrace. The masses are not even aware that Gold was once considered money and most of them will rebel at the notion of having to return to the Gold standard. The Gold standard did not prevent theft and outright robbery; bankers were known for shaving gold coins and other shenanigans. There is a better alternative, and we will address that shortly. The U.S is supposed to have the largest reserves of Gold, yet no one is allowed to examine them. Many experts claim that Fort Knox is empty and that there is no Gold there. Hence, even if we did revert to a Gold standard, there would be nothing preventing the government or banks from stating there was more gold than they had. By fudging the data, they would be in a position to increase the supply of money or decrease the supply of money. Hence, the problem then is governments and bankers. Why not come with a solution that addresses those two issues and one that the masses would gladly embrace. No one wants to run around with a heavy sack of gold or silver coins to purchase the things they desire or need. We live in a world where if it's not convenient it's not embraced. The crowd rarely embraces something it does not understand, and the education system has done a marvelous job of convincing the masses that Fiat is money. Is it not possible that some governments might embrace a hard money standard one day? The keywords to focus on are one day and possible; the road to hell is paved with good intentions. One never knows when this day might or might not transpire. What might unfold one day is that individual governments could decide it's time to back their money with a basket of commodities say oil, gold, silver, timber, palladium, etc. From a strategic perspective, China is probably the nation best positioned to put this strategy into play. In approximately 30 years they have achieved more than most nations have in 90 years, and they continue to progress at a rapid fire rate. They understand the fact that real democracy is nothing but a fallacy whereby idiots are elected into power, and these idiots then have to cater to the morons that elected them in the first place. Thus, a perfectly prosperous country gradually becomes nothing but one huge welfare state. China is not going to rush into the Gold Standard; if there was even a hint that they were going to back their currency with Gold bullion, what do you think would happen? Yes, that is right; their currency would soar to the moon. Remember what happened when the Franc started to rise at an incredible pace; Swiss central bankers came in and knocked it down. We are in the midst of a massive currency war; otherwise known as the 'devalue or die era.' Nations are competitively devaluing their currencies to maintain a trading edge. Despite the romantic notion that is circulating out there that China is ready to back its currency with Gold; it's more of a delusion than reality. Note, also as China and Russia are busy buying up Gold, why would they want prices to soar now? They will allow the manipulators to keep the price lower so they can purchase more of this metal. The Fed has done the impossible; they have increased the money supply, destroyed the commodity market and at the same time managed to keep the dollar strong. Imagine that, and it's taking place right now, the dollar is getting ready to trend higher again. You still think the masses are ready to embrace a Gold or hard money standard. A full generation would have to be financially wiped out before this concept becomes embedded in the mental psyche of the masses. Until then the best way to preserve one's wealth is to invest in assets that inflate at a faster rate than the governments are inflating the money supply. One of the options, but it's not the only option is to invest in precious metals such as Gold and Silver. We cast a more favourable eye on silver also known as the poor man's Gold. We stated earlier that there was a better solution, one that many hard money followers and the masses, in general, would find palatable. What is the problem? Bankers are allowed to boost the money supply due to the evils of fractional reserve banking. We have a government that continues to raise the debt to pay for programs it deems necessary, even though many of them are not. The power central banks have of creating money out of thin air should be revoked permanently. The entire fractional reserve banking system should be eliminated. Via the fractional banking system, banks can create nine new dollars for every dollar of deposit they have. This outright theft, they are creating money they have and charging a fortune for it. The Federal Reserve conveniently explains this theft with the following statement. The fact that banks are required to keep on hand only a fraction of the funds deposited with them is a function of the banking business. Banks borrow funds from their depositors and in turn lend those funds to the banks' borrowers. Banks make money by charging borrowers more for a loan than is paid to depositors for use of their money. If banks did not lend out their available funds after meeting their reserve requirements, depositors might have to pay banks to provide safekeeping services for their money. For the economy and the banking system as a whole, the practice of keeping only a fraction of deposits on hand has an important cumulative effect. Referred to as the fractional reserve system, it permits the banking system to "create" money. Governments should be banned from creating debt. If you don't have the money, then the program needs to be shelved. Billions of dollars are wasted annually on totally useless and in many cases corrupt programs, because of this ability to create new debt. Other small refinements can be added, but with the enforcement of these two simple mandates, we won't need the Gold standard. We have inflation and artificial boom and bust cycles because bankers control the money supply. Cut their supply and the dirty game comes to an end. The masses are a lot more likely to support something like this, and this system would essentially provide almost the same benefits as those provided by a Gold standard. In the meantime as we have to focus on reality; governments are not going to give up this tool anytime soon, and the neither are bankers. There is a secret benefit to inflation; certain assets over compensate for the rate of inflation by a huge factor. Thus, for example, the government might inflate the money supply say by 10% a year, but certain assets could rise by 30%-100% a year. It is for this reason, we have been stating for the past several years on end, that this bull market has a lot more upside than most experts envision and that's why it's still the most hated bull market in history. Hot money is driving this bull market, and there is no sign of revolt from the masses, so the hot money will continue to flow. More importantly, the sentiment is far from bullish, and bull markets never end on uncertainty, they end when the masses are euphoric. "I think, therefore, I am is the statement of an intellectual who underrates toothaches." 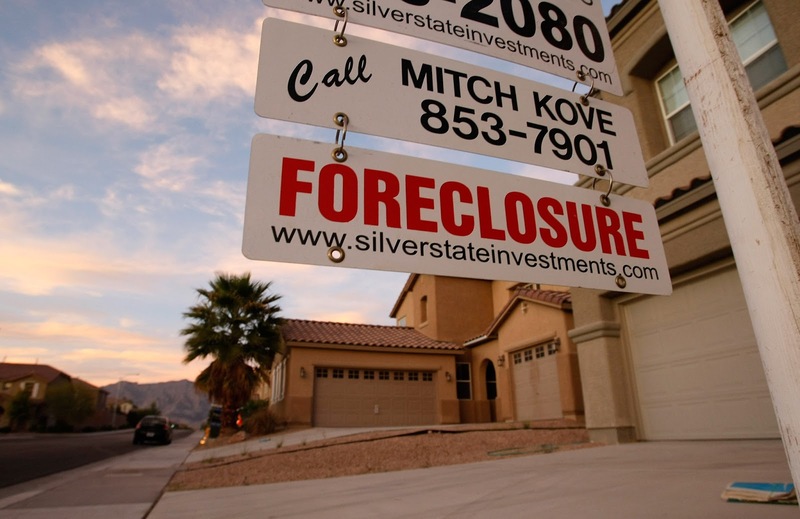 When Washington took over the beleaguered mortgage giants Fannie Mae and Freddie Mac during the collapse of the housing market and the financial crisis of 2008, it was with the implicit promise that they would be returned to shareholders after being nursed back to health. But now, with the unsealing of documents this week that were produced as part of a lawsuit filed against the government, new evidence is coming to light on how intimately the White House was involved in the Treasury’s decision in August 2012 to keep all the companies’ profits for the government. That move effectively maintained Fannie’s and Freddie’s status as wards of the state. Since then, Fannie and Freddie have returned to the Treasury over $50 billion more than they received in the bailout. But the amount they owe to the government remains outstanding. The new materials cast further doubt on arguments made in court by government lawyers that the profit sweep came about because Fannie and Freddie were in a death spiral and taxpayers needed protection from future losses. Documents unsealed last month also served to undermine that legal stance. The trickle of documents comes years after Fannie and Freddie shareholders sued the government, contending that its decision regarding the companies’ profits was illegal. Defending against an array of these suits, lawyers for the Justice Department have requested confidential treatment for thousands of pages of materials. In a case brought in Federal Claims Court, the government’s lawyers asserted presidential privilege in 45 documents. The Treasury’s integral role in the profit sweep comes through clearly in the new materials, indicating that it was in charge of decisions on Fannie and Freddie, and that the Federal Housing Finance Agency, created by Congress in 2008 as a purportedly independent regulator, did as directed. In the law setting up the F.H.F.A., Congress required officials to ensure that the companies were operated in a safe and sound manner with an adequate capital cushion. The profit sweep, the aggrieved shareholders contend, violated that part of the law because it barred the companies from being able to amass capital. The recent economic performance of both companies, Mr. Hodge added, further undermines complaints about the sweep because “the required dividends to taxpayers would have exceeded their income in five of the past six quarters.” Finally, he noted, the best way to end the conservatorship is through comprehensive housing finance reform legislation. In an email, Mr. Parrott later said that his comment about investors referred to those holding Fannie’s and Freddie’s mortgage-backed securities, who would recognize that the Treasury had addressed the problem of the companies drawing from the government to pay dividends owed to taxpayers. “I realize that you appear to want me to be referring to the G.S.E.s’ shareholders, but I am not,” Mr. Parrott said, a reference to government-sponsored enterprises. Investors got the message. But some viewed the action as illegal and began filing lawsuits against the government. Unlike shareholders of other bailout recipients, including Citigroup, Bank of America and even the insurer American International Group, Fannie and Freddie investors have not been able to participate in the rebound at the companies as their operations boomed. Mr. Parrott, now a fellow at Urban Institute and owner of Falling Creek Advisors, a consultant to financial institutions, declined to comment on the matter. The unsealed documents indicate an intense desire to get rid of Fannie and Freddie as independent entities once and for all. They do not show any concern among Treasury officials that their actions on the profit sweep might violate the law. Only a small portion of the materials produced in the case in Federal Claims Court has seen the light of day. Approximately 50 documents were released on Wednesday to lawyers representing Arnetia Joyce Robinson, an individual investor who sued the government in Federal District Court in Kentucky last October. According to that lawsuit, Ms. Robinson, a retired bank manager and loan officer, bought Fannie and Freddie shares in September 2008 to help fund her retirement. Ms. Robinson’s suit is one of several that have been filed by investors, some of them giant institutions and speculators in Fannie and Freddie who bought shares after the bailout, contending that the government’s profit sweep was illegal. One case from 2013 was brought under the Administrative Procedure Act, which governs actions taken by government agencies. Royce C. Lamberth, the district court judge overseeing the 2013 suit, dismissed it in September 2014, but the case is on appeal. In dismissing the complaint, Judge Lamberth seemed to rely on the government’s contention that Fannie and Freddie were in a death spiral. But the documents released on Wednesday indicate that the financial projections for Fannie and Freddie the judge received were significantly out of date. These projections, showing large losses in the near term, were produced to the court by the Treasury in a document dated June 2012, but they actually contained figures from September 2011, when the companies’ operations had not yet begun to turn around. Those projections, produced by Grant Thornton for the Treasury to use in valuing its investment in Fannie and Freddie, did not account for improvements in the housing market that took place in late 2011 and early 2012. As the unsealed materials show, Treasury officials knew in the summer of 2012 that Fannie and Freddie had turned the corner and appeared to be well on their way to a strong recovery. Experts disagree about what the government’s role in housing should be and whether Fannie and Freddie should be wound down, replaced by some sort of new mortgage finance guarantee. The significance of these documents, however, goes well beyond the future of housing finance. They demonstrate the perils of allowing the government to act in secrecy. In asking for confidentiality surrounding its actions, the government argued that the release of such documents would roil the financial markets. What seems clearer all the time is that their release will instead help the public understand what the government did here and why. Only 45M shares in SPY (S&P 500 ETF) traded Thursday which is about as low an effort as one might observe on the eve of a Holiday trading. In fact, trading throughout this week short-squeeze rally week has been light. While the tape has told a bullish story, it’s not uncommon to see stock volume light on rally weeks and higher on sell-offs. That’s been doubly the case this week. It doesn’t make much sense to post our daily view Thursday, I’ll do so now but keep comments quite short now. There was some economic data Thursday including Durable Goods Orders was positive on the gross report (3.4%) but negative on Core Capital Goods at (-0.8%); Pending Home Sales were very strong at 5.1% but seasonal factors in play; and, Kansas City Fed Manufacturing Index fell once again to -5 leaving this area still in the red once again. Volume was dreadfully weak and breadth per the WSJ was mixed. On such a weak volume week, there’s not much to say. The world's elite silver miners just finished reporting their operating results from 2016's first quarter, and they were impressive. This industry continued to drive its costs lower even as silver finally started mean reverting out of mid-December's deep secular low. The silver miners are beautifully positioned to enjoy soaring operating profits as silver's young new bull market continues gradually marching higher on balance. Silver mining is a tough business geologically and economically. Primary silver deposits, those with enough silver to generate over half their revenues when mined, are quite rare. Most of the world's silver ore formed alongside base metals or gold, and their value usually well outweighs silver's. According to the just-released World Silver Survey 2016 by the venerable Silver Institute, silver largely remains a byproduct. Last year production from primary silver mines accounted for just 30% of the global mine supply. Well over 2/3rds of the 886.7m ounces of silver mined in 2015 was simply a byproduct from base-metals and gold mining! And as rare as silver-heavy deposits supporting primary silver mines are, primary silver miners are even rarer. Most silver-mining companies have multiple mines, including non-primary-silver ones. This isn't simply due to the geological constraints in finding and developing silver-dominant deposits. The cash flows silver mining generates are relatively small compared to other metals. While base metals are far less valuable, they are found in vastly greater quantities. And while gold is much rarer, it is worth radically more than silver. So it's even challenging for miners to derive the majority of their revenues from silver. In Q1'16, silver averaged just $14.90 per ounce. That's pretty dismal, just 0.9% higher than Q4'15's $14.77 average which was the worst for any quarter since Q3'09's $14.72. Meanwhile gold averaged $1185 per ounce in Q1'16, a far-superior 7.3% higher than Q4'15's $1105 trough which was gold's worst quarter since Q4'09's $1099. These Q1'16 average prices really help highlight silver mining's economics. A mid-sized silver miner might produce 10m ounces annually, which is worth $149m at Q1's average silver price. Yet a mid-sized gold miner producing 300k ounces a year can generate revenues 2.4x higher at $356m. These comparisons hold even with silver's accelerating new bull so far in Q2'16, which has produced much-higher average silver prices of $16.64 quarter-to-date compared to $1255 for gold. Despite silver's excellent 11.7% increase in average prices so far this quarter, that mid-sized silver miner would still only see yearly sales of $166m at these levels. That compares to $376m for that mid-sized gold miner, still 2.3x higher. The cash flows silver mining spins off at these low silver prices often aren't sufficient to sustain mid-sized mining operations, so elite silver miners have been actively diversifying into gold. While mining more gold makes the silver miners much stronger financially, it also dilutes their exposure to silver which is the main reason investors buy their stocks. Unfortunately there are effectively no pure silver miners left anymore in the mid-tier and major ranks, and very few among the small but super-risky silver-mining startups. Silver miners' increasing gold operations certainly complicates analyzing them. Their Q1'16 reports weren't due out until 45 calendar days after quarter-end, and as usual these miners generally like to push that legal limit. So this is the first week where comprehensive Q1'16 operating and financial data across the silver-mining industry is available. I always like to dig into these quarterly reports to get a handle on how this industry is faring fundamentally, which helps me make investing decisions. I want to look at the elite silver miners' results, the biggest and best companies out there with the most-widely-held stocks. And they are all owned by the overwhelmingly-dominant silver-stock ETF, which is the SIL Global X Silver Miners ETF. As of this week SIL had $286m in assets. That was a whopping 6.2x larger than its next-biggest competitor's mere $46m, the SLVP iShares MSCI Global Silver Miners ETF. But since there aren't that many silver miners out there, SIL also includes 9 of SLVP's 10 holdings. As of the middle of this week, this flagship SIL silver-stock ETF had 21 holdings. 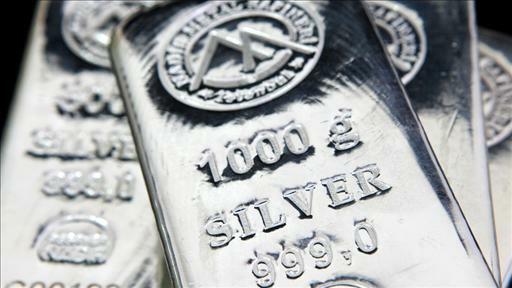 SIL is the leading way for stock investors to invest in silver stocks today. I painstakingly analyzed the top 17 of these component companies' Q1'16 quarterly reports this week, which collectively accounted for 96.0% of SIL's total weighting. 13 of these top silver miners as determined by SIL's managers trade in the US and Canada, and 12 of them had published their quarterly results by the middle of this week. The lone straggler was Silvercorp Metals, which had its fiscal year-end on March 31st. Because full-year results must be fully audited by a CPA firm before filing, that final fiscal quarter's deadline is extended to 90 days. So there's no Q1 data yet. The remaining 4 top SIL-included silver miners trade in the UK and Mexico. Like much of the world, they report in half-year increments instead of quarterly ones. And since most companies have fiscal years matching calendar years, these half-year reports usually come after the ends of Q2s and Q4s. So Q1s and Q3s generally have little or no financial data reported, but sometimes production updates are given. I dug through all available Q1'16 results from these elite top 17 components of SIL and fed a bunch of data into a spreadsheet for comparison. The table below highlights some of the most relevant. Any cell left blank means that particular company didn't report that piece of data. Usually companies' weightings in the top ETFs don't change very much, so I was surprised to see a major reshuffling at the top of SIL. Because of that 90-day post-quarter-end filing deadline for quarterly results ending fiscal years, Q4'15 results of these elite silver miners couldn't be analyzed until April. A few weeks ago I published an essay on silver miners' operating results in that critical secular-trough quarter. Their actual performance in those miserable silver conditions was an important baseline from which to compare recovery quarters. Back in mid-April Tahoe Resources was SIL's largest holding at 12.1% of this ETF's weight, but by this week that had dropped to 10.8%. More interestingly Pan American Silver's weighting rocketed from just 5.5% in mid-April to the pole position at 12.3% by this week! I can't recall seeing a faster shift in a major ETF's weighting of an elite company, and these ETFs' managers almost never discuss their decision processes. I suspect this major shift was a gold thing. Tahoe Resources issued new guidance in early April after its acquisition of Lake Shore Gold was completed. It now expects to produce a midpoint of 400k ounces of gold this year along with the previously-forecast 19.5m ounces of silver. At prevailing prices near $1250 and $17, this yields gold revenues of $500m this year which are much higher than silver's at $332m. Mighty Tahoe, which was spun off by Goldcorp to create a totally-pure primary silver miner operating one of the world's largest silver mines in Guatemala, is now a primary gold producer. Unfortunately, silver revenues running around 40% of total sales for these elite silver miners are pretty common. I calculated the percentage of revenue that each elite SIL company actually generated from silver sales in Q1'16. The methodology to determine how pure these silver miners are is pretty basic. Their silver production in the first quarter was multiplied by silver's average price, or a company's actual average realized silver price in Q1 if they happened to report it. Then that result was divided by their total revenues. Since silver lagged gold's initial big advance like usual in Q1, I figured that the SIL miners' silver purity would drop. And that was indeed the case, as is evident in the fifth column below after each company's symbol, the exchange its stock is traded on, its weighting in SIL, and its market capitalization. The average percent of sales generated by actual silver mining in Q1'16 fell to 44.9% from Q4'15's 47.5%. As silver's young new bull continues to outpace gold now that it is underway, I expect this percentage to start rising again. Silver prices generally rising faster than gold's on balance should help offset these elite silver miners' ongoing diversifications into gold mining. Rather interestingly, the ranks of true primary silver miners which generate over half their revenue from silver actually grew to 7 in Q1'16 from 6 in Q4'15. These majority-silver companies' percentages are highlighted below in blue. Hecla Mining just joined this club. For investors logically buying silver stocks because they want leveraged exposure of silver-mining operating profits to silver's upside, the greater the fraction of companies' sales derived from silver the better. If a company generates less than a third of its cash flows from silver, I don't think it should even be considered a silver miner. At that point silver is simply a byproduct within the total operations of that company. SIL's managers ought to jettison the diversified mining conglomerates like Fresnillo, Industrias Penoles, and Polymetal no matter how much silver they produce. Their stock prices naturally don't follow silver. SIL would be a radically-better investment for silver exposure, really the only reason investors buy it, if companies were only included that generate over 40% of their sales on a trailing-twelve-month basis from silver. This rest of the columns in this table focus on the operating fundamentals for the elite silver miners of SIL. This includes Q1'16's cash costs per ounce produced, all-in sustaining costs per ounce, and AISC guidance for full-year 2016. After that is cash on hand at the end of Q1, cash generated from operations in Q1, and finally each company's actual Q1 silver and gold production. These silver miners all mine gold too. Collectively these top 17 SIL silver miners produced 74.5m ounces of silver in Q1. With global silver mine production now running about 221.7m ounces a quarter per that latest Silver Institute report on silver's fundamentals, these major silver miners account for about 34% of world production. But take out those 3 non-silver-centric conglomerates, and that drops to 41.0m or around 18%. Primary silver miners are rare. Back in Q4'15, many investors questioned the very viability of this industry. By mid-December just days before the Fed's first rate hike in 9.5 years, silver slumped to a brutal 6.4-year secular low of $13.69. But as the silver miners' actual Q4'15 operating results later proved, that was never a threat. Q4'15's average cash costs for the elite silver miners of SIL were just $6.68 per ounce, far below even silver's deep lows. Cash costs are the acid-test measure of what silver price the miners need to break even and cover their ongoing cash operating expenses. These include all direct production costs, mine-level administration, smelting, refining, transport, regulatory, royalty, and tax expenses. Silver miners can survive as long as silver prices remain above their cash costs. And in Q1'16, average cash costs fell 10.3% to just $5.99 per ounce! A big factor in this was the surging gold prices, which resulted in higher byproduct credits to offset silver-mining expenses. It's pretty impressive to see cash costs drop so dramatically in a quarter where silver's average price edged just 0.9% higher to $14.90. As long as silver remains above $6, which is impossibly low given its fundamentals today, any talk of silver miners might not being able to survive is foolish. But cash costs are misleading, as it takes far more expenditures to run a silver-mining company as a going concern. All that silver mined is constantly depleting deposits, so new ones have to be found and developed to maintain production levels. And old exhausted mines have to be reclaimed. So in June 2013 the World Gold Council released the far-superior all-in-sustaining-cost metric to measure mining costs. All-in sustaining costs include everything necessary to maintain and replenish silver-mining operations at current production levels. This includes all direct cash costs of mining silver, along with all corporate-level administration that always should've been included in cash costs. But AISC go far beyond that to encompass the entire mining cycle, making them a far-more-realistic representation of true silver-mining costs. They also include exploration for new silver to mine, the enormous mine-development and construction expenses necessary to bring new mines online, remediation, and reclamation. As long as prevailing silver prices remain above all-in sustaining costs, silver miners can continue to produce at current levels indefinitely. And rather impressively they plunged dramatically in Q1'16 among the elite SIL silver miners. Their average AISC of just $10.28 per ounce were 21.8% lower than Q4'15's $13.14! That's amazing, leading to soaring operating profits for these elite silver miners in Q1'16. In the fourth quarter, silver's $14.77 average less the $13.14 AISC average drove silver-mining operating margins of just $1.63 per ounce. That's tight, too low for comfort for an industry that has to contend with silver's wild price volatility. But in the first quarter, $14.90 average silver less those much-lower $10.28 AISC led to vastly healthier operating margins of $4.62 per ounce! That was a mind-boggling 183% higher! This revelation ought to be the final nail in the coffin for the idea that silver stocks' enormous gains so far this year haven't been fundamentally justified. Just the opposite is true, soaring operating profits righteously supported soaring stock prices. Unfortunately the silver miners themselves don't expect Q1'16's low AISC to persist, as their average AISC projection for all of 2016 is much higher at $12.79. But I suspect this year's actual AISC will come in much lower than those forecasts. The silver miners made their 2016 guidances way back in early January before gold and silver started powering higher. So those projections assumed very-low prices all year. A great example is First Majestic Silver, the purest major silver miner in the world today with 69.5% of its first-quarter revenue from silver. It forecast its full-year-2016 guidance for AISC back in mid-January, and assumed silver and gold averaging just $14 and $1000 this year! As gold's new bull continues to power higher, rising byproduct credits for gold will lower silver-mining costs far more than widely anticipated. In addition back in January when 2016 outlooks were calculated, investors remained very worried about this industry's survivability so they were overwhelmingly focused on costs. The management teams at the silver miners have big incentives to overestimate cost projections to ensure they can beat them later. So actual AISC in 2016 are likely to be considerably less than the conservative inflated estimates published. But even if this industry really does have AISC up near $13, the potential growth in operating profits as silver inevitably mean reverts higher is still massive. Remember that silver prices like 2015's were a total anomaly driven by the Fed's stock-market levitation crushing demand for alternative investments led by gold and silver. Silver's average prices in 2014, 2013, and 2012 were way up at $19.05, $23.80, and $31.19. So even at $12.79 AISC for this industry, the potential operating profits soar to $6.26, $11.01, and $18.40 per ounce as silver mean reverts back to normal levels from recent years as gross market distortions from the Fed's machinations gradually unwind. Those represent profits growth of 36%, 138%, and 298% even at much-higher AISC on mere 28%, 60%, and 109% uplegs in silver from Q1'16's average price level! Naturally Q1'16's surging operating profits for silver mining fed strong operating cash flows for most of these elite silver miners, helping maintain hefty cash treasuries even after Q1's positive silver-price action encouraged these companies to start spending on expansion again. The silver miners continued to generate impressive cash flows from operations even while silver's average price stayed near Q4'15's trough. So even though silver didn't do much in the first quarter as its new bull market lagged gold's, the silver miners' fundamentals improved considerably. Higher gold prices generated higher byproduct credits for the elite silver miners, lowering their costs. And that trend is going to continue. At a $1255 average so far in the second quarter, gold is up another 5.9% at this point. So silver-mining costs should keep falling. On top of that, silver's average price so far this quarter at $16.64 is a huge 11.7% higher than its average level in the first quarter. Much-higher prevailing selling prices combined with costs still trending lower should make for amazing silver-mining profitability in Q2'16. We won't know for sure until 3 months from this week when those operating results are fully filed, but the outlook is very bullish halfway through Q2. So silver miners' upside from here remains vast, in terms of both profits and stock prices. Investors can take advantage of any silver weakness to buy aggressively, as this young mean-reversion silver bull is likely to run for years. The coming massive gains in silver stocks can certainly be ridden through this leading SIL ETF, which indeed contains the world's biggest and best silver miners. But SIL has problems. SIL's managers have really diluted their ETF's upside to silver by including those mining conglomerates that derive the great majority of their revenues from metals other than silver. And though SIL's holdings have to be generally weighted by market capitalization, it takes much bigger capital inflows to boost a larger silver miner than a smaller one. And the biggest silver miners are increasingly diversifying with gold. So SIL's silver-bull-market performance is going to seriously lag that of the best of the elite silver miners. An expertly-handpicked portfolio only including the companies with superior fundamentals leveraged to silver is going to trounce the silver-stock ETFs' gains. So investors willing to do their homework and buy individual stocks instead of settling with the leading silver-stock ETFs are going to enjoy big outperformance. Deep individual-stock research has long been one of our specialties at Zeal. We've spent over 16 years now intensely studying and actively trading this high-potential precious-metals-stock sector. This has fueled many hundreds of gold-stock and silver-stock trades over the years helping our subscribers multiply their wealth. As of this week, one of our new silver-stock trades had soared 381% since mid-January alone! While you don't have time to invest tens of thousands of hours to understand the markets, you can put us to work for you. We've long published acclaimed weekly and monthly newsletters for contrarians. They draw on our vast experience, knowledge, wisdom, and ongoing research to explain what's going on in the markets, why, and how to trade them with specific stocks. They will help you learn to think, trade, and thrive like a contrarian for just $10 an issue. Subscribe today while silver's new bull remains young! The bottom line is the world's elite major silver miners enjoyed a very strong first quarter in fundamental terms. Even while silver continued to languish near secular lows, silver-mining costs fell sharply as gold rallied and boosted byproduct credits. This led to massive growth in silver-mining operating profits in Q1'16, more than justifying the powerful surges the silver-mining stocks have enjoyed in recent months. And this explosive silver-mining profits growth is likely only starting. As gold and silver continue their mean reversions higher on balance in the coming years, the fundamentals of silver mining will improve dramatically. Stable or even-lower costs due to higher gold byproduct credits combined with far-higher selling prices will create a fundamental nirvana for the silver miners. Their stocks still have enormous upside. PERHAPS it was inevitable in the aftermath of the worst financial crisis in almost a century, but America is boiling over with schemes to remake the Federal Reserve. Some Republicans want the central bank’s monetary-policy decisions to be “audited” by the Government Accountability Office, an arm of Congress. Others wish to use a formula to put monetary policy on autopilot and to haul the chairman in front of Congress every time the Fed steps in. The most extreme sceptics peddle conspiracy theories about how the Fed “debases” the dollar. They propose abolishing the central bank entirely. Any of these schemes would be disastrous—either because they would jeopardise the central bank’s independence, or because they would cast monetary policy adrift. Fortunately, the likely presidential candidates have no desire to “end the Fed”. Donald Trump says he might replace Janet Yellen, the Fed’s chairman, with a Republican when her term ends. That would be unwise, but hardly revolutionary. Hillary Clinton wants to change the rules about who sits on the boards of the 12 powerful regional banks in the Fed system. She is right. The Fed is not broken, but it is anachronistic. The system of regional Feds gives commercial banks influence over their regulators and dishes out public money to their private shareholders. The next president and Congress should give it a thorough overhaul. The Federal Reserve system, created in 1913, owes a lot to the efforts of Carter Glass, who gave his name to the more famous Glass-Steagall Act, which separated investment banking from the duller retail kind. Thanks to his efforts, the country has not one monetary authority but a network of regional banks overseen by a board of governors in Washington, DC. Glass’s aim when founding the Fed was to avoid giving too much economic power to Washington bureaucrats. The regional banks would be like the states, while the board of governors would be like Congress. To placate bankers who wanted the government to stay out of their business, banks would themselves capitalise each regional Fed and appoint two-thirds of its directors. The directors would, in turn, elect a president who, on a rotating basis, would assume one of five voting seats on the FOMC, the committee that sets interest rates for the whole country. Such sops were necessary in part because, until 1980, membership of the Fed system was voluntary. The sops are still being dished out today. The system provides sweetheart deals to banks, most of which earn a risk-free 6% annual dividend on their compulsory investments in the regional Feds. This is more than three times what the government currently pays for capital on the ten-year debt market. Although the dividend was recently cut for the 70 largest banks, roughly 1,900 smaller banks in the Fed system, which also own part of the regional Feds’ stock, continue to benefit. Banks holding shares issued before 1942 receive their dividends tax-free. The most important job of a regional Fed is to oversee the banks in its district. As a result, Glass’s system comes perilously close to letting bankers serve as their own regulators—not so much a revolving door between Wall Street and government, as a shared executive suite. The bankers who sit on the boards of regional Feds are not directly responsible for regulation and they no longer vote for a regional Fed’s president, but banks appoint outside directors who do. And bankers can take part in a vote to dismiss a regional-Fed president. This is all the more worrying since political gridlock has given the regional Feds growing representation on the FOMC. The system is designed so that the Washington board of governors, which is appointed by the president and confirmed by the Senate, has a majority. But the White House has filled vacancies slowly, in part because of an unco-operative Senate—which in 2010, for instance, decided that Peter Diamond, a Nobel-prize-winning economist, was unqualified for the job. Hence, for most of Barack Obama’s presidency, regional Feds have matched governors in voting power. This matters because banks tend to profit from higher interest rates. 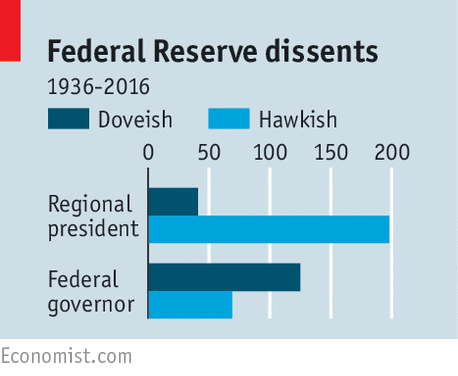 Regional-Fed presidents tend to be the most hawkish members of the FOMC, as their dissenting opinions suggest (see chart). The next president can put this right by taking Mrs Clinton’s proposal—and then going further. The private sector should be kicked out of the Fed entirely, the reserve banks capitalised with public money and the central bank’s profit kept for taxpayers. The Fed would not want for expertise without bankers on its regional boards: it already hires plenty of ex-bankers and can always consult the firms it regulates. Some fear that any reform attempts would provide an opening for all those other barmy ideas. That is not an idle worry. But private-sector involvement in the Fed arms the critics and conspiracy theorists. It reinforces the corrosive notion that self-serving elites write economic policy. In the long run, reform would protect the Fed from undesirable meddling. Like much of the discourse surrounding the more than 1 million migrants who have washed upon Europe’s shores over the past year, these reductio ad Hiterlum arguments are facile, deployed in the service of a political agenda. Since the crisis catapulted to worldwide attention last fall, many media commentators have adopted a narrative placing Germany and its chancellor, Angela Merkel, on a pedestal of selfless humanitarianism while relegating other European countries to the ranks of compassionless brutes. While some national governments (like Hungary’s and Poland’s) have indeed responded to the problem in unproductive and even inhumane ways, Denmark’s is hardly one of them. On the contrary, its position on the migration crisis, once derided as a reverberation of the Third Reich, is now looking like the better part of wisdom.To begin with, much of the media coverage of Denmark’s response to the migrant crisis has been inaccurate. The asset seizure law does not, as the Washington Post breathlessly reported back in January, allow “the government to search refugees’ clothes and luggage and seize any valuables and cash they find.” Rather, it authorizes authorities to confiscate only items in excess of 10,000 Danish kroner (about $1,500). Furthermore, items of “special sentimental value” like “wedding rings, engagement rings, family portraits, decorations and medals” are exempt. Nor is Denmark’s law unique in Europe; Switzerland, the Netherlands, and some German states (like Bavaria) have similar legislation on the books. Eakin maligned Denmark’s “growing domestic consensus that large-scale Muslim immigration is incompatible with European social democracy” as a nasty harbinger of continent-wide attitudes. But the wages of irresponsibly liberal immigration policies are being seen across the continent in the rise of populist, anti-immigration, and anti-EU political parties that now threaten the political stability of Europe itself. For too long, European leaders ignored their constituents, brushing off concerns about migration and national identity as taboo. “The integration challenge is enormous,” Lose conceded, particularly in a “homogenous” country such as Denmark. “The only sustainable solution is to get these people integrated into Danish society … to get people out on the job market.” Denmark, rather than Sweden or Germany, believes it more prudent to accept migrants on a manageable basis rather than a starry-eyed idealism that overpromises — both to the migrants and native Danes. In his derisory piece about those overzealously liberal Danes, Eakin referred to the cartoon controversy as “an irresolvable conflict” between European societies and their Muslim populations. If that assertion is true — if a majority or even a plurality of Muslims cannot accept that the freedom of speech includes the right to blaspheme — then it’s an unintended argument in favor of more restrictive migration policies. Danes should not be expected to sacrifice their freedom of speech — the vitality of which, according to Lose, there is “unanimity” in Danish society about maintaining — to accommodate illiberal foreign attitudes. “We paid a high price for insisting on free speech back then, and we still do today,” Lose said. “If you look at the terror list, we’re always in the top 5” of target countries. Yes, Denmark may be “harsh” and “liberal,” but sometimes you have to emphasize the former to protect the latter. James Kirchick is a fellow with the Foreign Policy Initiative, correspondent for the Daily Beast, and columnist for Tablet Magazine. His book, “The End of Europe,” is forthcoming from Yale University Press this fall.